Who's the boss? 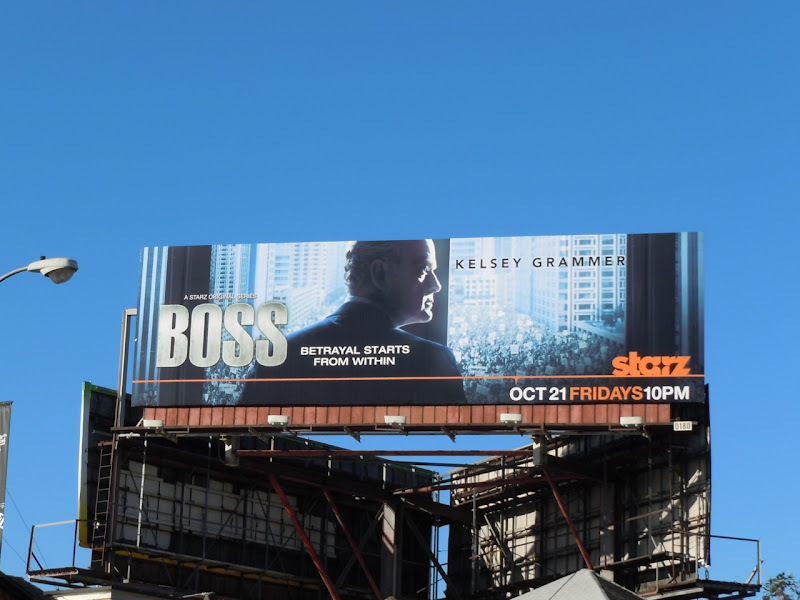 Well it appears it's Kelsey Grammer in his new Starz show, Boss. 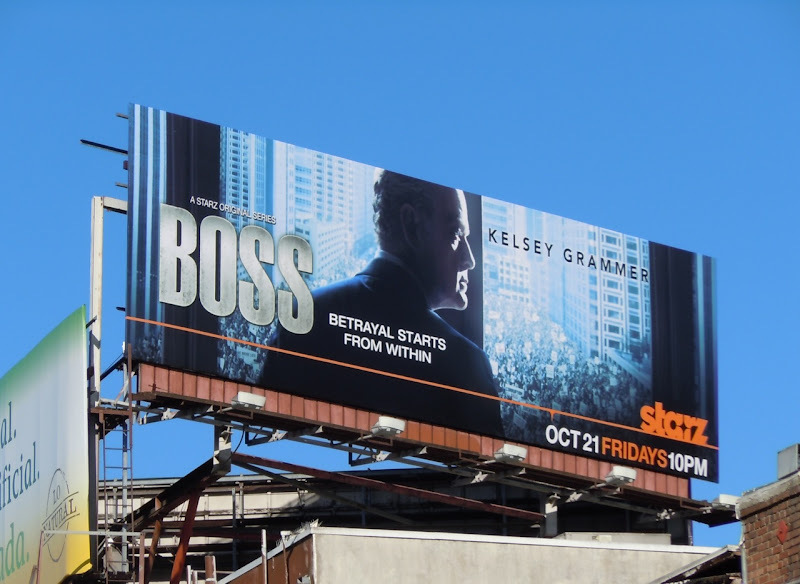 Trying to find a series that fits after his phenomenally successful eleven season comedy run as Seattle's radio psychologist, Frasier, the actor is back as the Mayor of Chicago in a gritty new drama. Daily Billboard likes the creative for Boss, with actor's profile looking suitably powerful and befitting a person in political office. 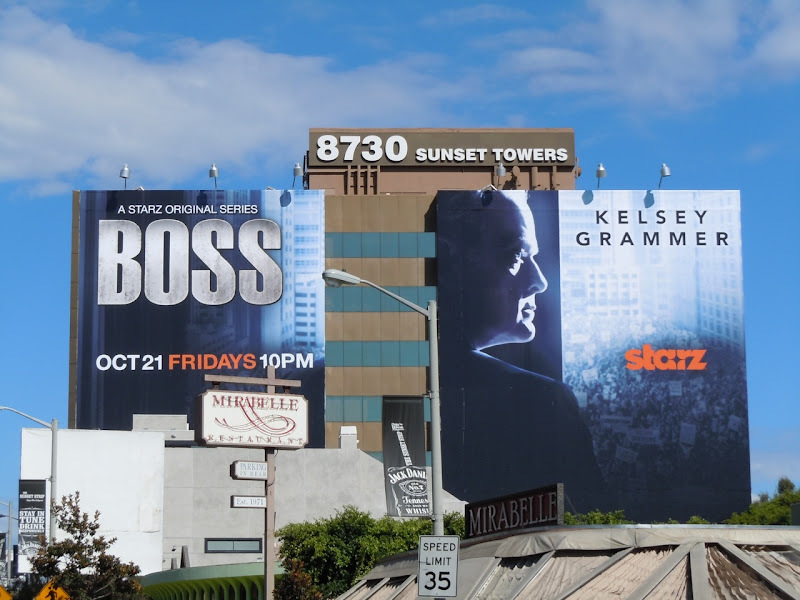 This impactful super-sized billboard and standard version were both snapped along Sunset Boulevard on October 6, 2011. 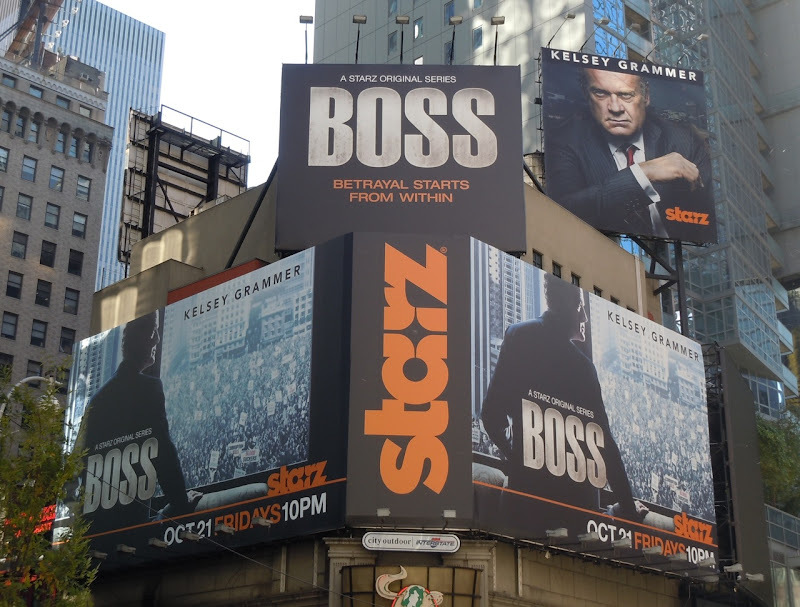 UPDATED: Daily Billboard snapped this collection of Boss billboards in the heart of New York City's theatre district, along Broadway and West 49th Street on November 6, 2011. 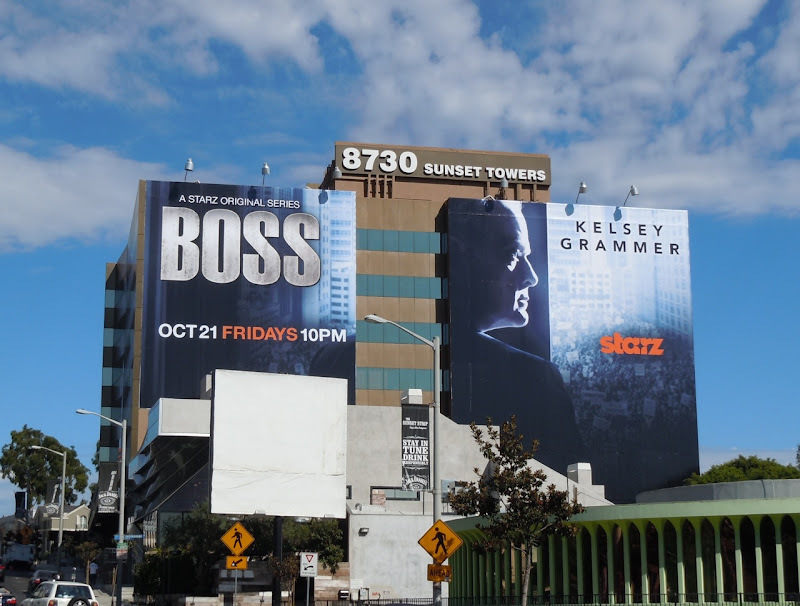 Kelsey Grammer should feel quite at home in this location after his starring role in the 2010 successful revival of the classic musical, La Cage aux Folles.